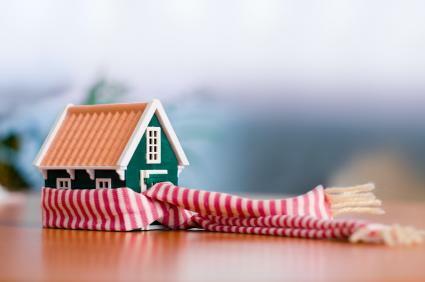 As winter approaches it is important to ensure that your home is heated and ventilated adequately in order to avoid the buildup of condensation and subsequent damage. All rental properties should have proper heating – i.e: an adequate heat source in each room. Providing proper heating will mean that as a tenant you will be less likely to need to use portable heating devices, such as gas cylinder heaters, which can be dangerous. Many old methods of heating will be inefficient and will result in a high carbon footprint for the property. One of the hazards of rentals is “excess cold” and tenants can call their local enforcement officer at their Local Authority to ask for advice. Condensation- Condensation is probably one of the most common complaints about rental properties. It can be avoided by heating and ventilating property properly. Tenants need to ensure that windows are open slightly even during cold weather and to have the heating on low. All gas appliances need to be serviced and certified annually by law. Thick curtains are one of the main ways to protect your house from losing heat through the windows. Clear your radiators. Try and avoid placing large pieces of furniture in front of them. At least in the short-term, the sofa you love by the radiator is absorbing heat. Let sunlight in during the day. Once the sun is up, you want to capture as much of that free heat as possible. Even on cold days, the sun is still warm. So before you leave the house for the day, open up those curtains and let the light shine in. If there are certain parts of the house that don’t get sunlight, no need to open those curtains. Just do so where it streams in for a good part of the day. Move furniture away from vents. You may have unknowingly placed furniture in front of heating vents when you moved in or rearranged. Go around the house and double check that vents aren’t blocked, and if they are, find a way to move your furniture, at least for the winter. Electric storage heaters. If you have electric storage heaters do avoid drying washing on them as this is dangerous or nearby as this causes a huge amount of condensation and can then cause damage to your rental property which you may be liable for.